Fleet 1 Cruise to Monterey in May! A few spots still open! Topic: Fleet 1 Cruise to Monterey in May! A few spots still open! It looks like we might have a good turnout for Fleet 1’s upcoming cruise to Monterey! As of this writing we have 3 boats possible with openings for a few more. 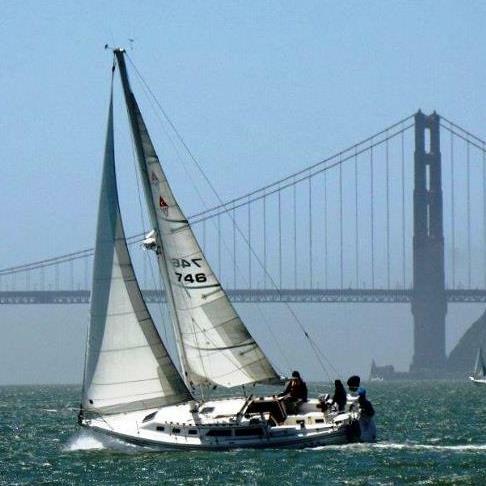 We will be departing out San Francisco on Monday morning, May 15th, arriving at Pillar Point Harbor in Beautiful Half Moon Bay that afternoon. At this time, I have no organized activities planned for HMB, but there are several great dinner spots within walking distance of the harbor. We’ll depart HMB early in the morning for the long sail to Santa Cruz on Tuesday, May 16th. Again, I don’t have any activities planned for Santa Cruz, but there are a few good restaurants close by. We’ll leave Santa Cruz Wednesday morning for what is usually an amazing sail across Monterey Bay to the Monterey Municipal Marina. The last time we sailed across Monterey Bay there were dolphin, whale, and harbor seal sightings everywhere! A few lucky skippers even saw several Killer whales! After arriving at the Marina Wednesday afternoon folks can check out the nearby Fisherman’s Wharf for great food and shops. The sunset in Monterey during the spring is always a thing of beauty. Who knows, an impromptu dock party might spring up near our boats! We’ll spend the entire next day in Monterey exploring Cannery Row and perhaps the Famous Monterey Bay Aquarium! I will organize a group dinner for the Fleet Thursday night once I get a good attendee headcount. Our Fleet dinners are always a blast with many tales of the week’s sailing. Friday Morning it’s off once again to Santa Cruz and from there to HMB by Saturday night, then a nice sail north back into San Francisco Bay Sunday afternoon to complete this amazing trip. Like I’ve said before, if you’ve never made this trip, this is a terrific opportunity to get some coastal sailing under your belt with a good group of experienced skippers. With 5 to 7 boats travelling as a group, it provides a safer experience to view the incredible California coastline. Please contact me as soon as possible with your availability and headcounts so I can finalize arrangements at the different marinas. I’ll have more information for the attendees very soon. Time is running out, so get ahold of me ASAP!